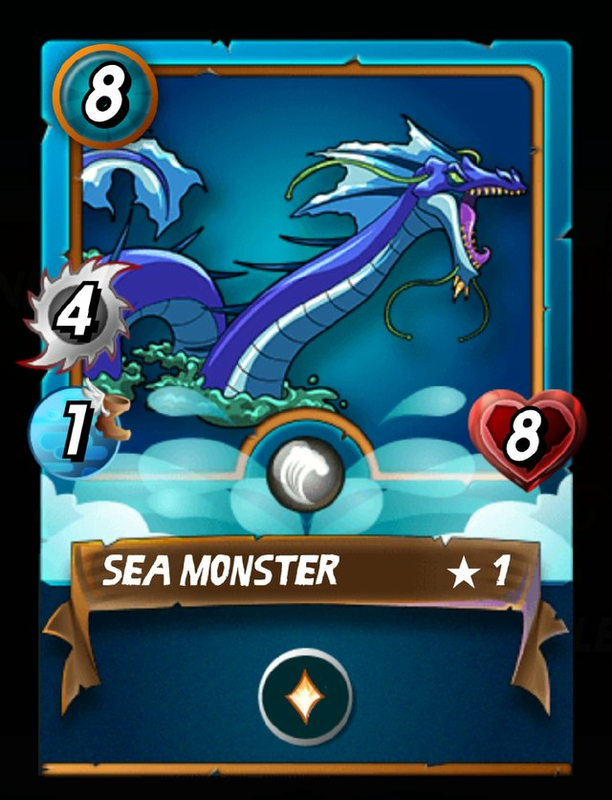 The Sea Monster card has been my favorite card for quite some time now. In fact it's the one that has always been leading the battle for me. The reason for it been my favorite is not far fetched as it all shows in the stats. It has a good physical power, speed, toughness, and health of the character. 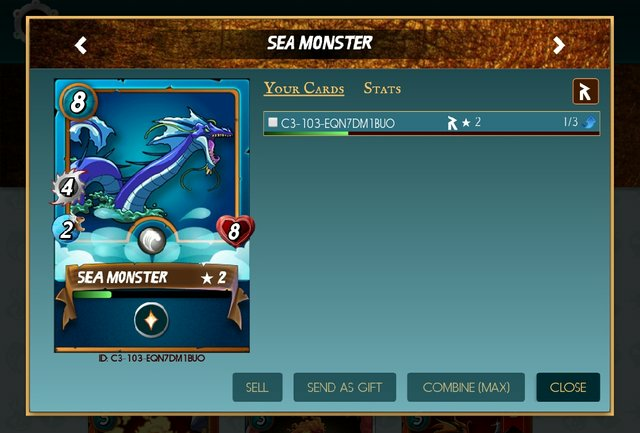 And did I get the beautiful Sea Monster card? It's a reward for completing another quest. I completed the Stir the Volcano quest by winning a 5 ranked battles with the Fire Splinter.